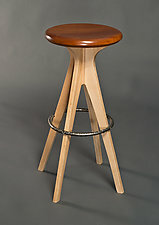 Stools created by today's finest North American furniture artists add beauty and comfort to any room of your home. 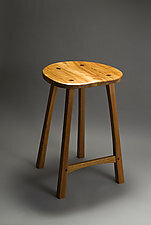 Whether built using traditional upholstery and woodworking or constructed from reclaimed metal or other materials, these unique art stools bring original style and exquisite craftsmanship to your home. See the complete artist-made seating collection for other contemporary and stylish furniture options for your home.